Brinner : Do you have a flag? I might have found a few more rolls of Washi tape, this time in green patterns. I'm also trying to come up with different ways to use them. 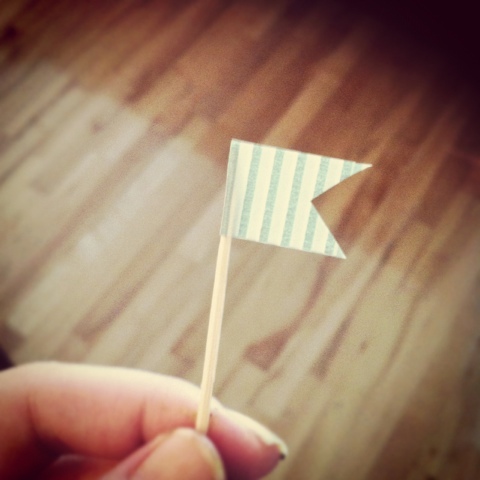 Here I have (quite impressively I might add) made a tiny flag. I hope you are most wonderfully impressed.